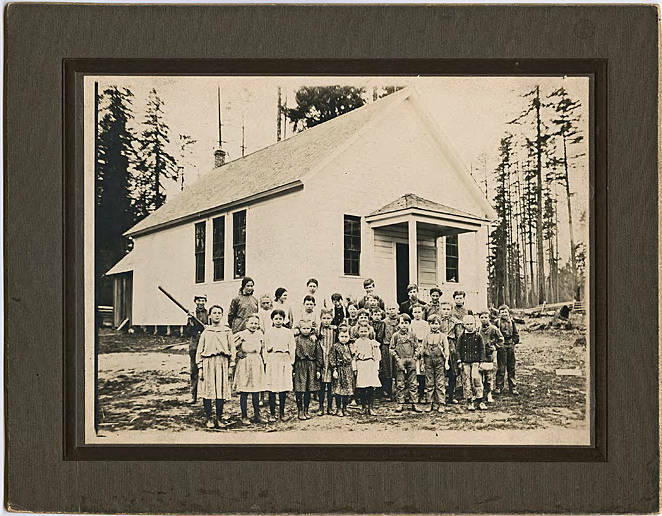 Sepia-toned image of a group of schoolchildren in front of their one-room school. The children range in age from early elementary to high school, and there are nearly equal numbers of boys and girls in the photo. One boy at the back left of the group brandishes a baseball bat. Prickett School was located north of Banks, Oregon, on Green Mountain and Woollen Roads, and in 1944 it consolidated with Banks. The schoolhouse burned down in 1947. 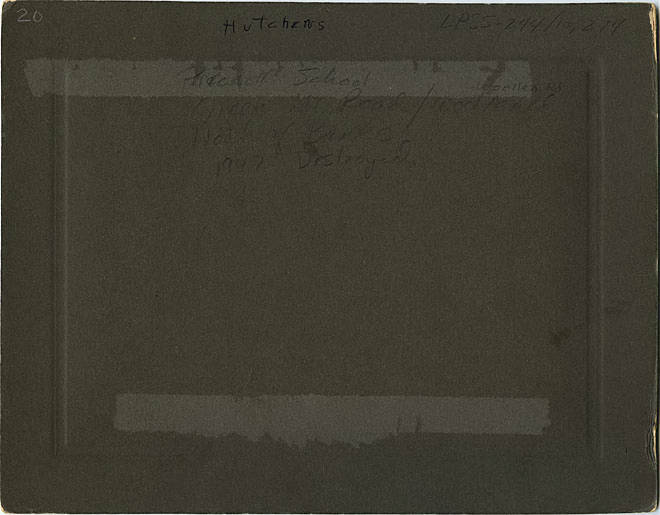 [back][pen] Hutchens. [pencil] Prickett School, Green Mt. Road/Woollen Rd. North of Banks, 1947 Destroyed.